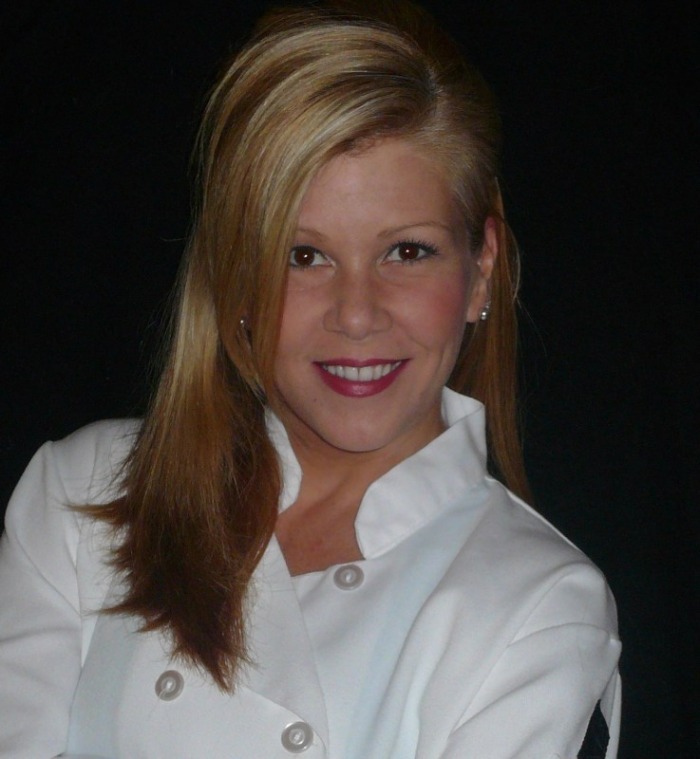 Born in Canton, Ohio and raised in Orlando, Florida by an Italian-Irish family where every meal was an event, Teresa knew at an early age that her career would eventually take a culinary path. Spending most of her childhood years in the kitchen with her mother, Patricia, she learned the art of cooking family meals. She was also influenced by her paternal grandmother, Sophie, who was an amazing baker and home cook. As a teenager Teresa started out working in her family’s small restaurant doing everything from decorating cakes, creating dishes and managing the staff. Educated in art history, painting, jewelry, sculpture, photography and other various mediums, she sees a white plate as a blank canvas and food as art. While having a passion for the arts, she received an opportunity to work in the legal field after college. After almost two decades, Teresa decided to move on from the legal field to follow her natural talents in cooking and baking by starting her own company, Sophie’s Bake Shop. Based in Orlando, Florida, Sophie’s Bake Shop creates delicious and distinctive cakes and desserts inspired by her grandmother’s heirloom recipes. Over the past couple of years Teresa has had the pleasure of catering small events and celebrations for local companies, individuals and charities. She also works as a personal chef hosting dinner parties. As an experienced traveler, Teresa understands how local cultures influence the regional cuisine, what the local ingredients are, and how they are being used. She hopes that her experiences will inspire others to be equally adventurous in their culinary endeavors.